POPPING OFF. Tucked inside Banbury Place’s Building 13, Forage EC is a commercial kitchen, workshop space, and event venue. 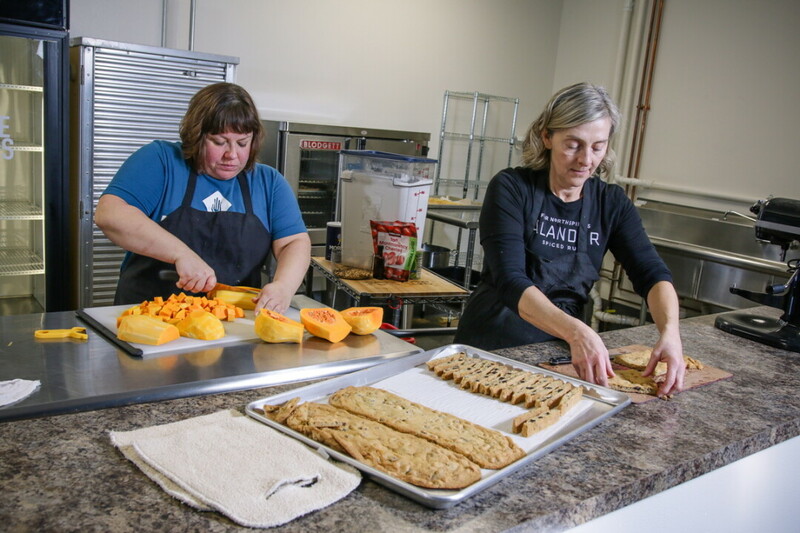 Owners Michelle Thiede and Kristen Dexter have recently expanded Forage to 3,000 square feet. Launched in February of 2014 during the Banbury ArtCrawl, Forage EC is a neighborhood commercial kitchen and venue located in the historic Banbury Building. 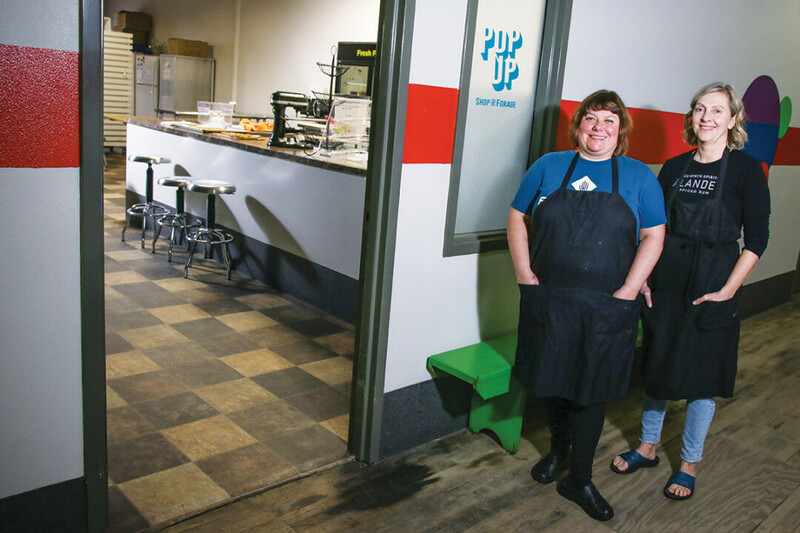 Owners Michelle Thiede and Kristen Dexter, who describe themselves as, “Partners, lady bosses, foodies and friends” are excited to share the opening of their second, licensed, commercial kitchen. With views of the Eau Claire River, Forage EC is an intimate and versatile space designed to create, educate and celebrate. Whether you are looking to host a dinner party for a special occasion, are a budding chef looking for commercial grade equipment and facilities, or a food entrepreneur looking to develop a pop-up restaurant, a business or a creative endeavor, consider Forage your destination. “Drawing people together around love of food and life is at the heart of what we do,” the website reads. The 3,000-square-foot loft features a 1,200-square-foot dining room that seats up to 150 guests and includes tables, chairs, stools, cutlery, dishes and serving pieces. The new kitchen expansion offers a clean, well-organized space featuring two 5-burner induction cooktops, a double commercial convection oven, a commercial refrigerator and freezer, storage space, pots and pans, prep tables, a food processor, a Vitamix blender, a Kitchen Aid professional mixer and a commercial dishwasher. Depending on your needs, they can point you in the right direction for licensing, scheduling, marketing, and accounting. Throughout the year, guests are also welcome to attend wine nights, local brunches, and most recently a Friday fish fry. Forage EC is cooking up a whole lot more than food! Thiede and Dexter believe that shared, experiment-friendly spaces are critical to building a thriving community, and that Forage EC is a perfect place for art classes, writing workshops, photography seminars and yoga nights.